The LCBO is still open and you can still go pick up party fuel for Canada Day tomorrow. 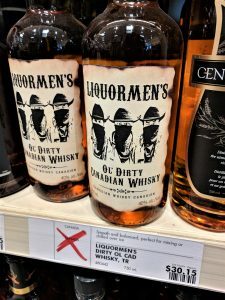 With that in mind and in the vein of a public service announcement: don’t buy Liquormen’s Ol’ Dirty Whisky. Don’t do it to yourself, and don’t serve it to your friends. Canada Day is about coming together as a nation we stole from some other people, not pranking each other with bleach. Yes, the is the official whisky of The Trailer Park Boys, another of the many things out of Nova Scotia that everyone thinks is great. 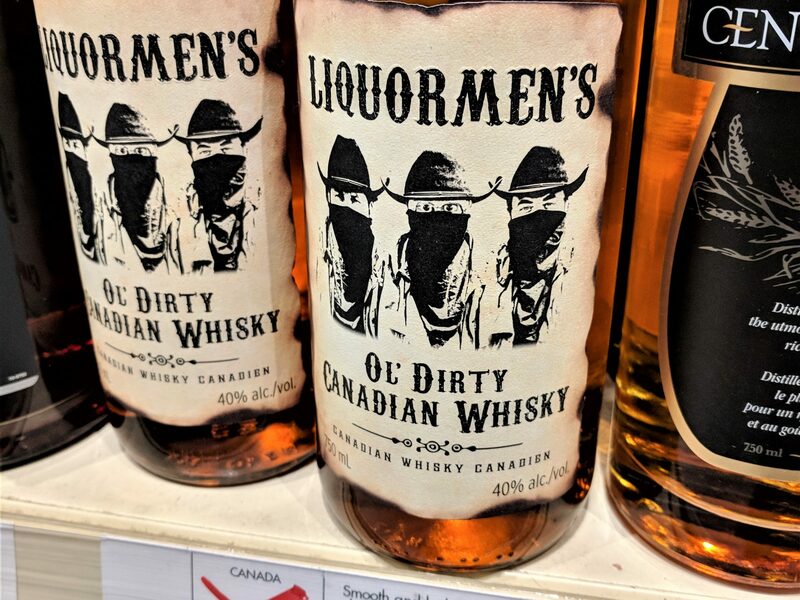 The actors on the show are not distillers; this is made by Dartmouth Spirits, altho LCBO say this in distilled in Newfoundland, which seemed unlikely. If it wasthat crappy the first time, why go back and give them more money? My policy with this kind of crap is same as for restaurants. Serve a bad meal and I never come back……. Ever! !